Rumors of a possible trade down continue to swirl around Arizona, but with two weeks to go before the 2019 NFL Draft, Kyler Murray still looks like the most likely No. 1 selection. 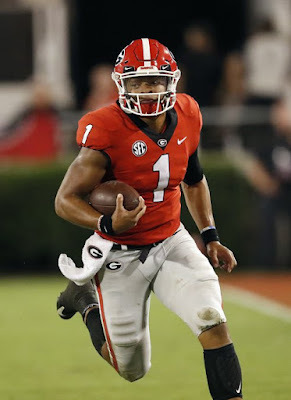 Nobody can deny the reigning Heisman winner's immense talent, and his measurements have come back better than expected. With that being said, Arizona still needs to upgrade an aging receiver corps and their offensive line if the youngster is going to succeed at the next level. If Murray does indeed go No. 1 overall, San Francisco is in a great spot to have their choosing of the plethora of great defenders available here. I'm personally a bigger fan of Quinnen Williams, but Nick Bosa seems to be the likely move here for GM John Lynch. Bosa has impressed in workouts and visits, and his numbers while at Ohio State speak for themselves. He'd immediately upgrade a San Francisco defense that had a lot of problems last season. After drafting Sam Darnold a year ago and spending big on Le'Veon Bell this free agency, the Jets have invested heavily in their offense. Now, its time to start crafting a winning defense, and Josh Allen is a great start. The Kentucky product has size, quickness and coverage ability, and seems like a great fit in the modern day NFL. Could Jon Gruden swing for the fences and try to trade into the top spot to take Murray? Perhaps, but I think the smarter move would be to stick firm at No. 4, where they still have plenty of options. Quinnen Williams was an absolute monster this past season in Tuscaloosca, and is just scratching the surface. He would immediately upgrade Oakland in the trenches, which is always Gruden's top priority. Tampa is another major wild card at the top of this Draft, considering how many different directions they could go with the fifth pick. I wouldn't rule out either a trade up or down, but if they stick firm at five, Devin White is the selection. The LSU linebacker is as versatile and well-rounded as they come, and is the type of impact defender this team needs in the heart of their defense. 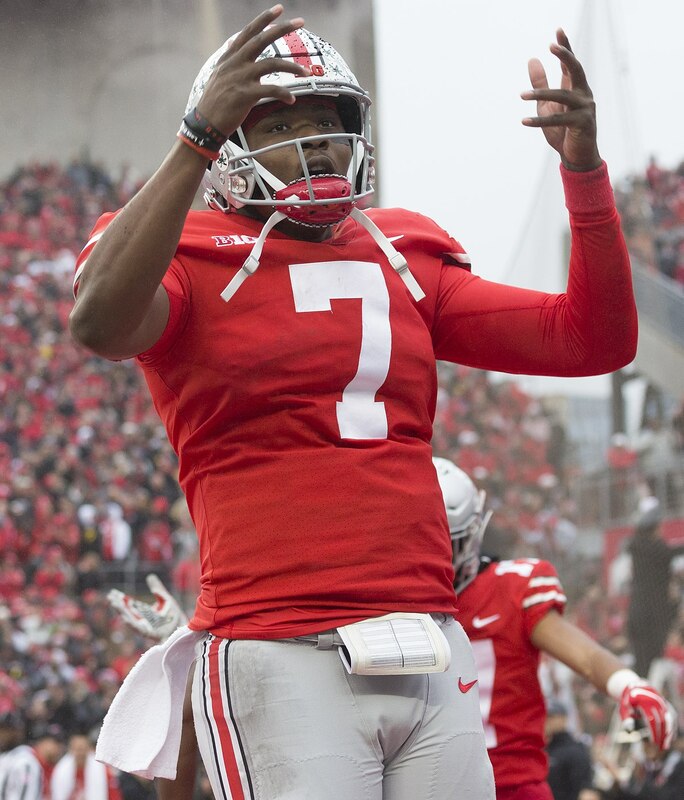 I've had Dwayne Haskins mocked here for some time, but recent discussion out of New York is that they don't really like the Ohio State signal-caller. I could see them going pass rusher here, particularly with Gary, Montez Sweat and Ed Oliver all still available. Gary has been rising up boards, and he has the talent to make an immediate impact. Considering how much Jacksonville just invested in Nick Foles, I'd be pretty shocked if they didn't upgrade their O-Line early on in this Draft. This isn't a great class for offensive linemen, but Florida's Jawaan Taylor still looks like a Top 10 prospect. He has the highest ceiling of any OT in this Draft, and could be a franchise left tackle for years to come. Ideally, either Devin White or Rashan Gary drops to Detroit at the eight spot here. Yet, without trading up, its going to be very difficult for the Lions to land either. Instead, they go with Montez Sweat, whose impressive Combine jolted him into the Top 10. He would upgrade one of the NFL's worst linebacker corps, while adding a dangerous weapon off the edge. In most Drafts, Ed Oliver probably would be a Top 5 lock, but it looks like there is a good chance he lasts much longer than he should this year. If he is still available at pick five, Buffalo should jump on the chance to land the impact pass rusher. Oliver can play inside or out, and his production while at Houston is well worthy of this pick. This would be a huge victory for John Elway and the Broncos. Not having to trade up and still add possibly the best QB in the Draft? Haskins has the arm strength and size to fit right in to the NFL, and could sit out and learn his first year while veteran Joe Flacco is handed the reigns of the offense. After moving on from Marvin Lewis this off-season, it is time for the Bengals to do the same with their long-term underachieving QB, Andy Dalton. Dalton has had his moments in Cincy, but the postseason results are too concerning to overlook. Drew Lock is a talented signal-caller, who seems like he would mesh well with new head man Zac Taylor. This pick seems to be gaining traction from most NFL Draft experts, and it would make sense for the Green Bay offense. Jimmy Graham is a shell of his former self and after fixing their holes defensively, the Packers work on their offense. Hockenson was a stud this past season for Iowa, and is a skilled blocker as well as pass-catcher. With so many needs and only one first round selection, Miami should look at going best player available here. Considering new head coach Brian Flores is a defensive guy, pass rusher seems to make a lot of sense. Clelin Ferrell was the most productive player on a Clemson D-Line that could include four first-round picks; he should be the move right here. The Falcons are yet another team that could be very interesting to watch come Draft night. They have needs on both lines, but considering most of the premier pass rushers are gone, I see them working on the O-Line right here. Jonah Williams was a starter since he stepped on campus at Alabama, which should tell you everything you need to know about his talent. Quarterback is in play for Washington considering they have no long-term option at the sport's most important position currently. With that being said, the Redskins' offense as a whole lacks much punch, which could certainly be solved by adding a dynamic receiver like D.K. Metcalf. Metcalf has been rising up boards since his Combine showing, and might not even last until pick 15. Even with some talented playmakers on their offense, Carolina just hasn't gotten the type of scoring they need to return to the postseason. Perhaps upgrading the offensive line could change that, and Andre Dilliard looks like a possible steal at 16. He has favorable measurements, and is very athletic for someone of his size. They may not choose a quarterback at the six spot, but I'd be very surprised if the Giants don't come out with any new signal-caller in the early rounds. With the pick acquired in the OBJ deal, I like them going with Duke's Daniel Jones. Jones has impressed NFL scouts with his intelligence and refined mechanics, and he seems like a Pat Shurmur QB. There are some intriguing options still available here, but Minnesota needs to stick with the offensive line. I like Oklahoma's Cody Ford a lot, but Garrett Bradbury seems like the more logical choice. Bradbury is an established run blocker whose naturally position is center, which would allow Pat Elflein to move to guard, a more natural spot for him. Tennessee has one of the oldest front sevens in the NFL entering 2019, something they can easily remedy in this Draft. Christian Wilkins was a four-year stud while at Clemson, and possesses immense versatility and athleticism. He'd be an ideal selection at this point in the Draft. Pittsburgh will forever miss Ryan Shazier in the middle, a guy who was not only an impact defender but a leader of this defense. They can get his long-term replacement here in Michigan's Devin Bush, who had a tremendous collegiate career. He's a little bit undersized, but is incredibly rangy and the type of heady defender Pittsburgh adores. I firmly believe Seattle is going to trade down from this 21 spot, but I don't do trades in my mock drafts. If they hypothetically stay here, taking the top player on the board is the most likely case scenario. Brian Burns quietly had 23 sacks over three seasons with Florida State, and has Top 10 talent. For some reason, Hakeem Butler is not a guy getting much love from most people. Yet, at 6'5", 227 pounds with excellent leaping ability, he is the ideal red zone threat in today's NFL. Baltimore is certainly a team that could use another option in the passing game, especially with QB Lamar Jackson still so young. Despite going 11-5 this past season, Houston gave up a staggering 62 sacks, by far the worst in the entire NFL. If this team has any serious Super Bowl aspirations, fixing the O-Line must be their top priority. Dalton Risner is an established, consistent blocker who will immediately help out this struggling group, making this is a no-brainer. Jon Gruden has always prided himself on hard-nosed football that focuses on running the ball between the tackles. Yet, entering 2019, he has no viable running back currently on the roster. He can quickly change that by taking Josh Jacobs, who was a stud this past season with 'Bama. Jacobs can be powerful but has decent shiftiness, and is also a decent pass-catcher out of the backfield. Even though they have one of the most talented rosters top to bottom in the NFL, Philadelphia's offensive line could use a facelift. The group is aging quickly, and ensuring Carson Wentz stays healthy is a top priority. Cody Ford seems like a logical move, as the Oklahoma product can play multiple positions and protected two Heisman winners while with the Sooners. The Colts have a lot of directions they could go here, but I think they end up with a best player available approach in the late first. Dexter Lawrence was overshadowed by some of Clemson's other stars at times, but there is little denying his talent. He could be an absolute monster in the heart of Indy's D-Line. There are going to be some really good corners available in the late first-early second range and I see Oakland jumping on one here. The Raiders don't have a true No. 1 CB, which could be remedied by selecting Greedy Williams. The physical defensive back not only has a great name, but all the tools to be shutdown in the pros. Even though they already have a front seven with ample talent, the Chargers could still use an upgrade in the interior of the D-Line. They'd love if Dexter Lawrence were available here, but Notre Dame's Jerry Tillery works just fine. Tillery was a beast for the Irish in '18, and remains a dynamic pass rusher. He'd be one heck of a consolation prize for this organization. Once the backbone of this Kansas City team, the Chiefs' secondary needs extensive work. It is either old, thin or just not up to the standards of a Playoff team. 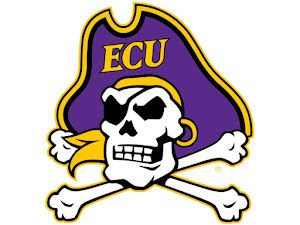 I love the Byron Murphy pick for them; he's got experience, size and excellent ball skills. He could immediately start, given KC's current cornerback situation. Working on the secondary seems like a logical move for Green Bay with their second first-rounder. Nasir Adderley is a guy working his way up draft boards that has a lot of talent. He can play either corner or safety, with excellent playmaking ability at either spot. He is the cousin of Hall-of-Famer Herby Adderley, who once starred for the Packers in the 1960's, keeping this pick close to home. The Rams are another team with loads of talent on both sides of the ball, but some concerns on the aging offensive line. They'd love if a guy like Dalton Risner were to drop, but if not, Greg Little would be a quality selection. Little is a former five-star recruit who was nicknamed "Mr. Reliable" for his consistency in Oxford. With Rob Gronkowski officially retiring, and Julian Edelman getting no younger, New England needs some new weapons in the passing attack. They have a number of options, with Noah Fant being the most realistic. Fant was incredibly productive with Iowa, and has speed like a wide receiver.